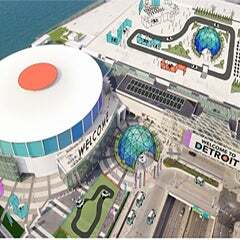 Attention visitors: you make a big difference in this world! 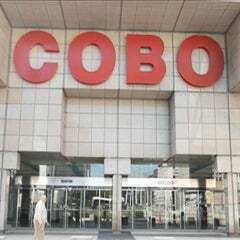 Do your part in Cobo Center: Step 1, find the recycling/compost stations; Step 2, take a moment and read the signs; Step 3 hit the right bin! Help divert tons of waste from the waste stream each year. Together, as Martin Luther King, Jr. suggests, we can "move toward our goal like a tidal wave. We are challenged to rise above the narrow confines of our individualistic concerns to the broader concerns of all humanity." 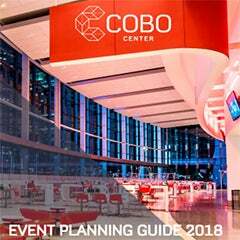 Visitor education in Cobo Center is inclusive of everyone coming into the venue from tourists to event attendees because sustainability is fully integrated into the operations and event planning. More than one hundred recycling stations are strategically placed throughout the center from docks to food courts with corresponding instructional signage. Every few feet there is new green focused messaging within view of every visitor. "All I'm saying is simply this: that all mankind is tied together; all life is interrelated, and we are all caught in an inescapable network of mutuality, tied in a single garment of destiny. Whatever affects one directly, affects all indirectly. For some strange reason I can never be what I ought to be until you are what you ought to be. And you can never be what you ought to be until I am what I ought to be - this is the interrelated structure of reality."